the replacement gear was no longer round.... . I picked up the metal replacement but after reading some things on it, the gear might not be my problem!! My parts car has a good unit the passanger side that I need so for a quick fix I am going to install it on my car and then I will take apart the broken one and get it rebuilt and put on the shelf until it is an issue again!! It's not easy to see but the plastic has sort of undergone some transformations in the past year. 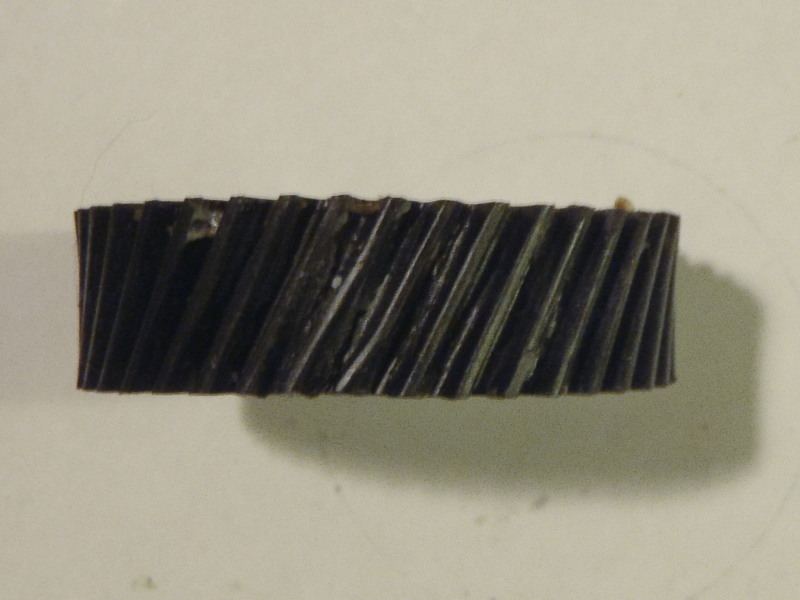 The largest diameter near the edges of the gear measures 2.115". The smallest is 2.055". Here's a bit better perspective. What's wrong with this picture? Wow....that material is not very stable is it? It looks warped. 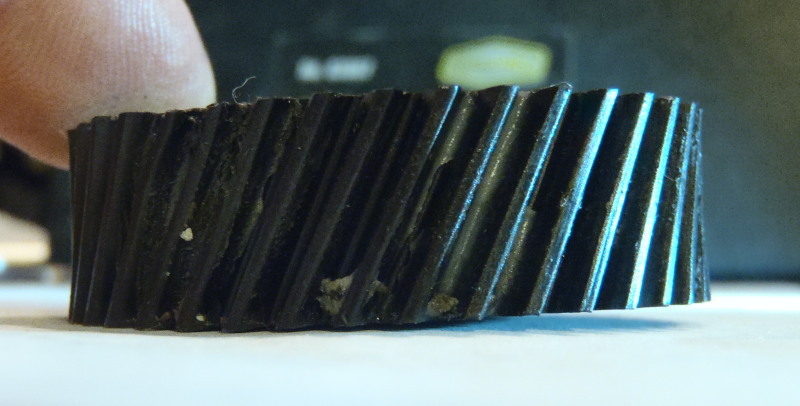 I've said it before, one of the problems that plague us Fiero owners is the bad quality aftermarket parts out there. Not so much the Fiero Store or Dickman stuff but the parts at the local automotive retailer. We do our part but the components let us down. reading some things on it, the gear might not be my problem!! Obviously you are talking about another matter of your own here...? shows. Oh and some teeth are also chewed away. Yeah...was talking about the issue I have with mine...gotta check the relay then the gears but it will go up and down with the hand crank so it atleast narrows down the problem!! tell you what what part of the circuit to consider. and that likely the main gear is stripped. Kevin, sorry to be nit whitted at 1220am but you lost me dude!! It has been since the fall since I looked at. In the next few days I should be able to diagnose it properly and go from there!! Charlie - sorry did not mean to confuse you but your description of what is happening may require further explanation for me to totally understand your headlight motor predicament. Brian - I already contacted Rodney for a gear and a spare - in case the other motor decides to pack it in. But thanks anyways. 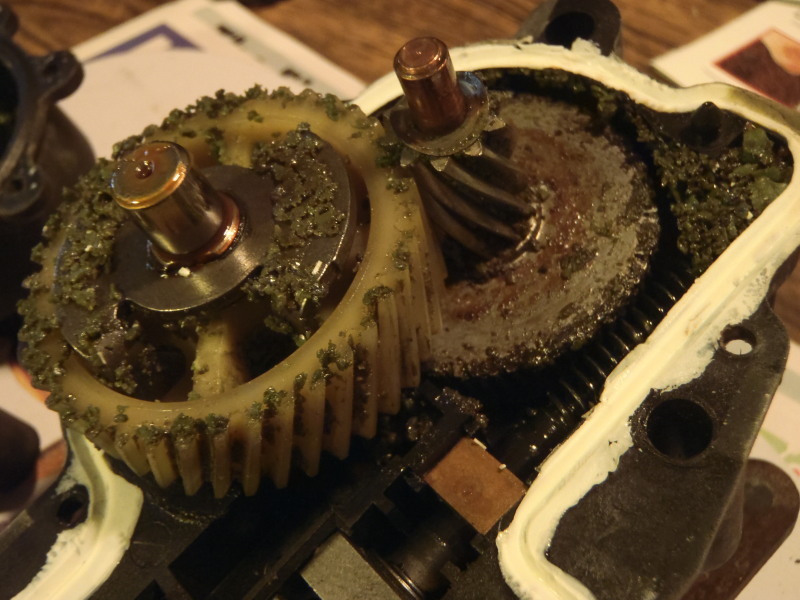 Decided to open the left hand motor to check on some free play - It didn't seem to affect the performance except for the occasional delay going down but with new gears coming thought why not. Turns out the rubber bumpers in the main gear were completely obliterated. Other wise the system was in pretty good shape. Talk about lucky. 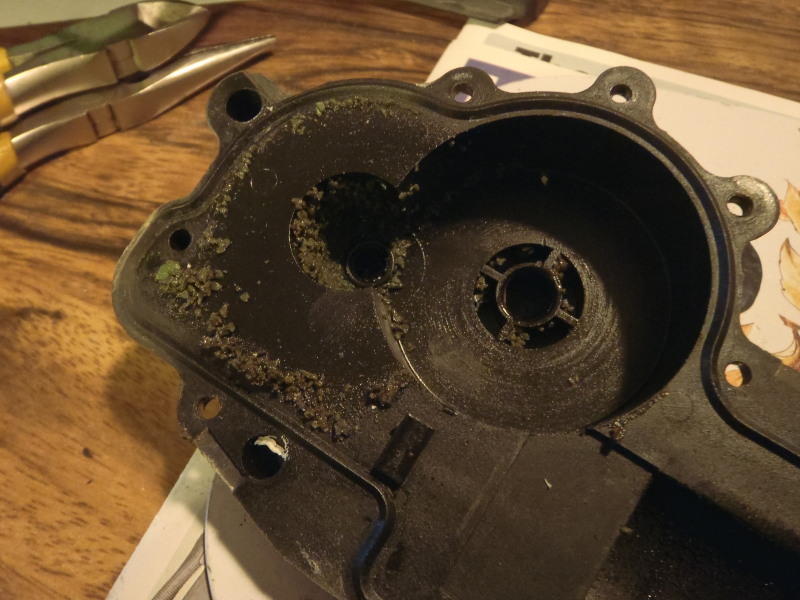 As I was cleaning up, I pulled the electrical contacts out and off the rotor, one of the brush contacts came off. I Did the same!! Out with the bad gear, in with my Rodney Dickman replacement and put it all back together!! Charlie - I am curious - how did you re-secure the main gear retainer? I google videoed the process...Buddy Craig has 7 posts showing the rebuild process I found very helpful!!! The bumpers are easy - just curious what you did for the retainer. thanks. My plan was to center punch the retainer. Either way I suppose. Wow....chewed or what? It appears as though the motor has not stopped in time and cut the teeth right off. I would check the limit switches to make sure they are in good shape and in the right place.